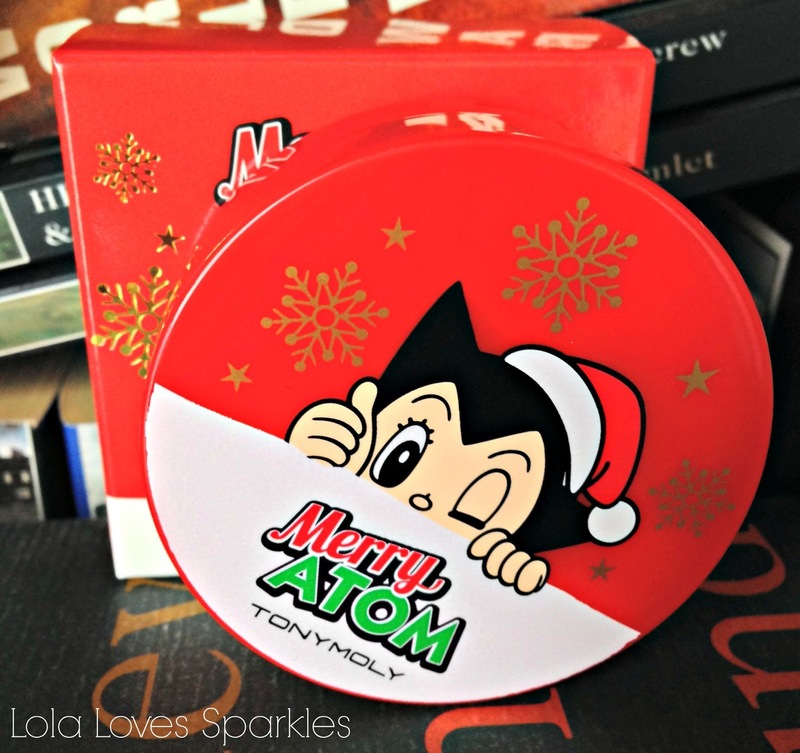 TonyMoly released this Merry Atom collection as part of their Xmas limited edition range. I couldn't resist not grabbing this as 1) I'm a sucker for manga, 2) I've got a weakness when it comes to cute packaging, and 3) after all the hype around cushion foundations, I wanted to test out a cushion blusher. 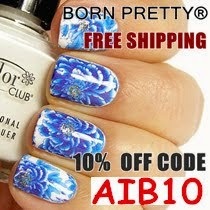 I got mine from this seller HERE, who is one of my most used ones, for $9.99, however I checked it out today and it is $11.99 - of course since it's a limited edition Xmas range, you'd better hurry up and get yours if you so wish. 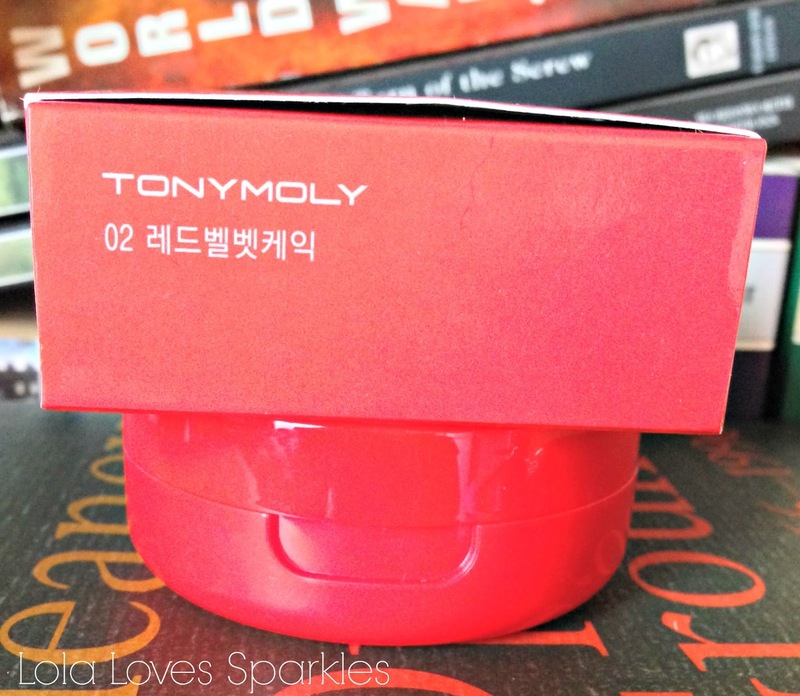 This TonyMoly Merry Atom Mini Cushion Blusher comes in 2 shade varieties: #1 Strawberry Sugar Cake, and #2 Red Velvet Cake. 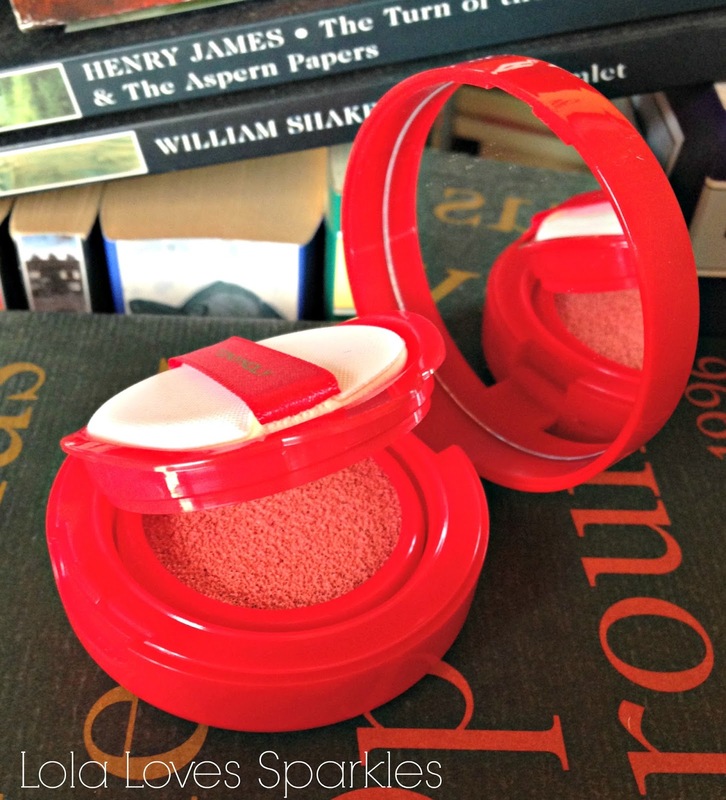 As per standard cushion packaging, this comes packaged in the cutest compact ever. It has 2 separate levels: one for the sponge / puff applicator, and one which nestles the cushion product. 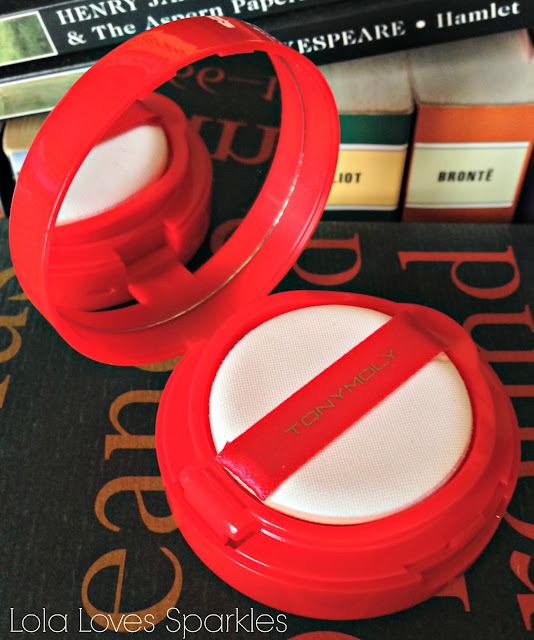 It also comes with a handy mirror, making this blusher super handbag friendly and ideal for touch ups on the go. If you're not familiar with cushion products, the product per se is nestled in a sponge applicator, which you need to press on with your puff in order to release the product. This way, you will only dispense the correct amount every time you need to use it. 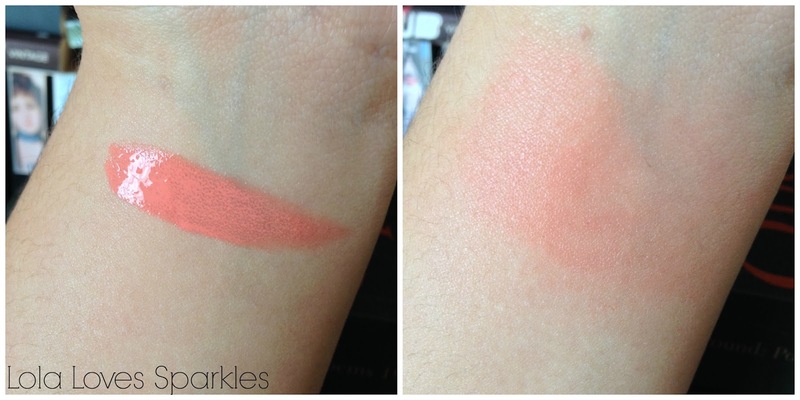 The blusher is very liquidy, and so a light hand is necessary when applying this. Even though this shade is called Red Velvet, I find that this colour verges more towards the coral, rather than a red velvet shade. 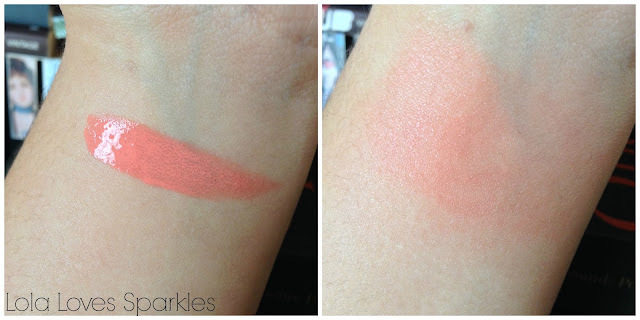 It does give a lovely pop of colour, and is rather buildable too - should you want a stronger blushed up look. It is easily blended, and if you're not comfortable with using the puff, you can easily use any other brush that you want. It lasts for a good 5-6 hours on me, afterwhich it starts to fade nicely. 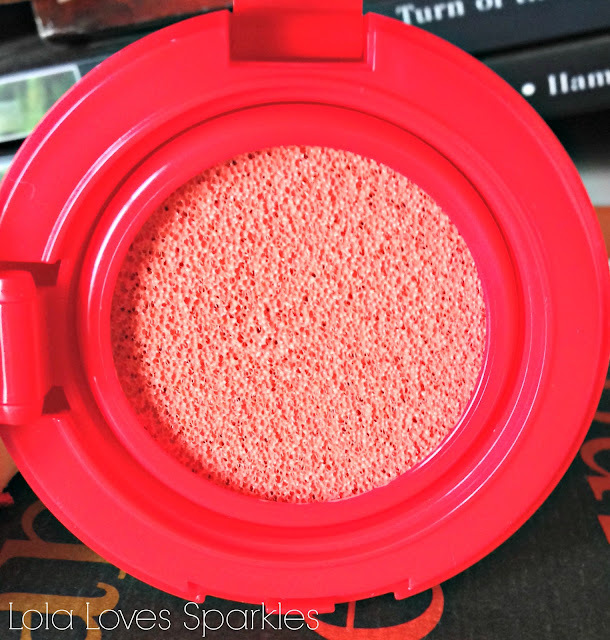 This is a nice blush to use, especially for those who have dry skin, or those who prefer a dewy look. Hope this helps, feel free to leave any comments / questions about this product down below!